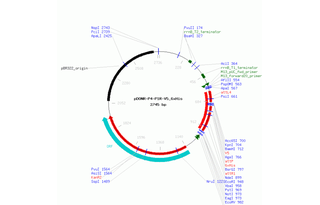 Contributes the coding sequence of a V5-6xHis epitope tags cassette as the 5’-module during MultiSite Gateway-cloning of chimeric cDNAs encoding three-part fusion proteins. 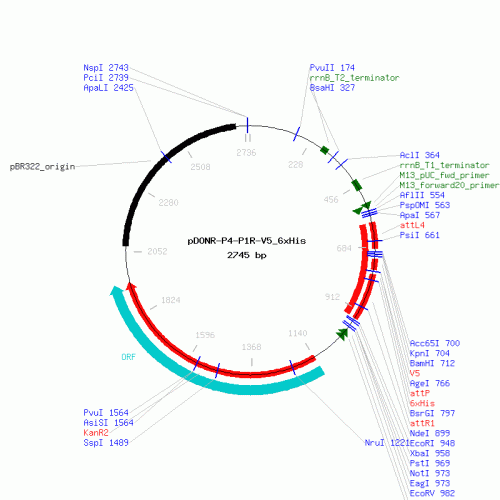 Contains a Kozak sequence and initiation codon upstream of V5 tag. Does not contain a stop codon.